So we finally got some snow here in Sweden and now it's winter. And I want say I'm sorry for not sharing anything for a long time. Sometimes life just takes over. We moved three months ago and I've been occupied with trying to get our home in order. The house is being renovated and yet it's a long time before it's ready, so every week it's a lot to take care of before I can sit by the computer. 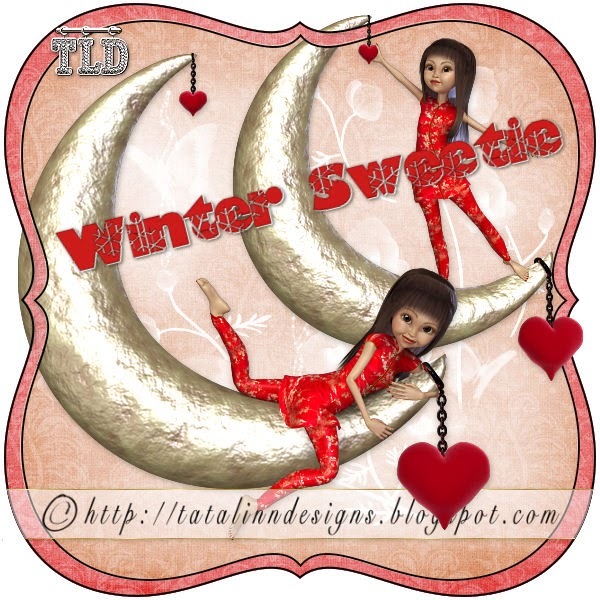 I thought I would give you some sweeties for your Winter or Valentine tags. Mingzu is waiting for you to make something beautiful. Download HERE. Demi couldn't decide which was more beautiful white or pink. .... and the pink variant of her HERE. Thank you! I used one in a tutorial below.